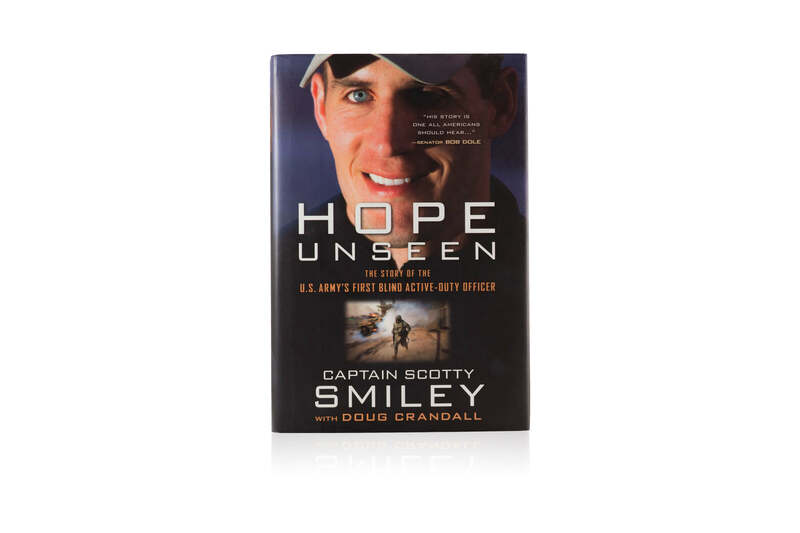 Hope Unseen is the story of the U.S. Army’s First Blind Active-Duty Officer and how blindness became Captain Scotty Smiley’s journey of supreme testing. Since the moment he jumped out of a hospital bed and forced his way through nurses and cords to take a simple shower, Captain Scotty Smiley has climbed Mount Rainier, won an ESPY as Best Outdoor Athlete, surfed, skydived, become a father, earned an MBA from Duke, taught leadership at West Point, commanded an army company, and won the MacArthur Leadership Award. Scotty and Tiffany Smiley have lived out a faith so real that it will inspire you to question your own doubts, push you to serve something bigger than yourself, and encourage you to cling to a Hope Unseen.